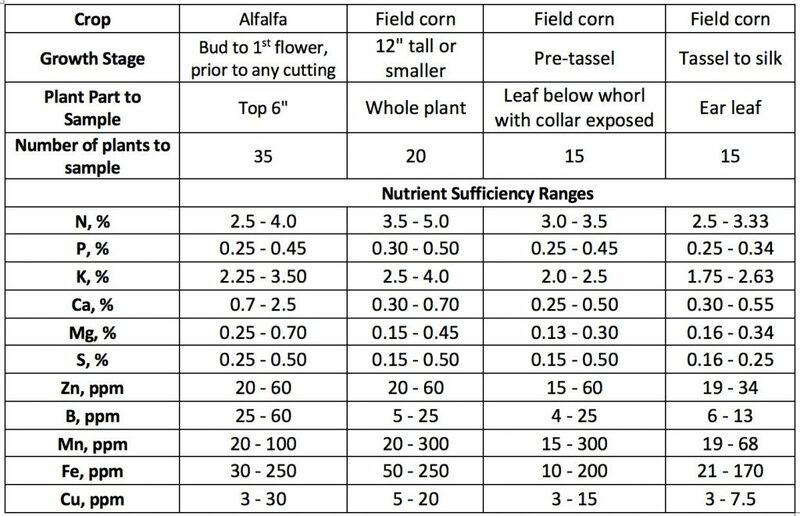 The correct plant part and growth stage at which to collect samples along with UW plant tissue sufficiency ranges for alfalfa, corn, soybean, and wheat, are provided in Tables 1 and 2. Please note that Wisconsin Department of Ag, Trade, and Consumer Protection certifies soil test labs, but they do not certify plant analysis labs. What this means is that each lab is free to interpret plant analysis results as they wish. 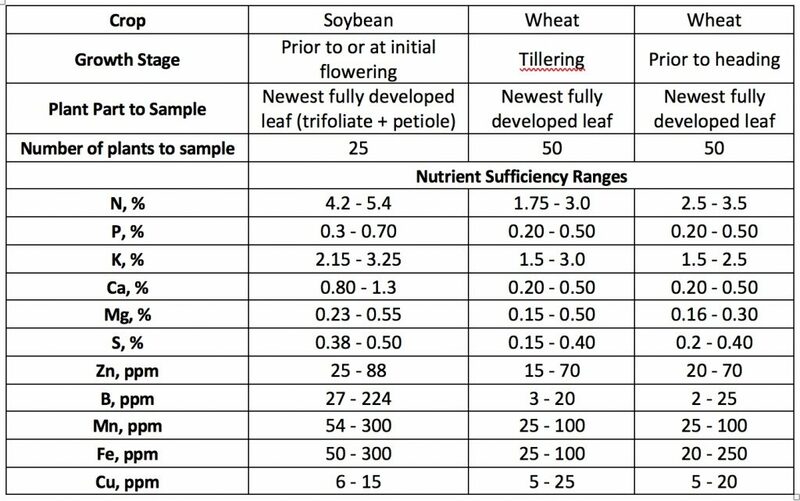 The UW Soil and Forage Analysis Lab in Marshfield (715-387-2523, http://uwlab.soils.wisc.edu)interprets plant analysis results as described in Tables 1 and 2.